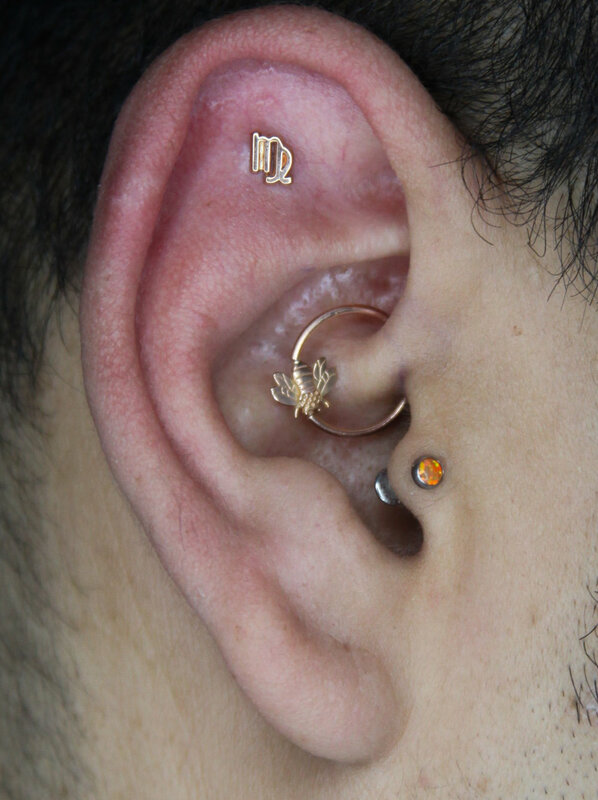 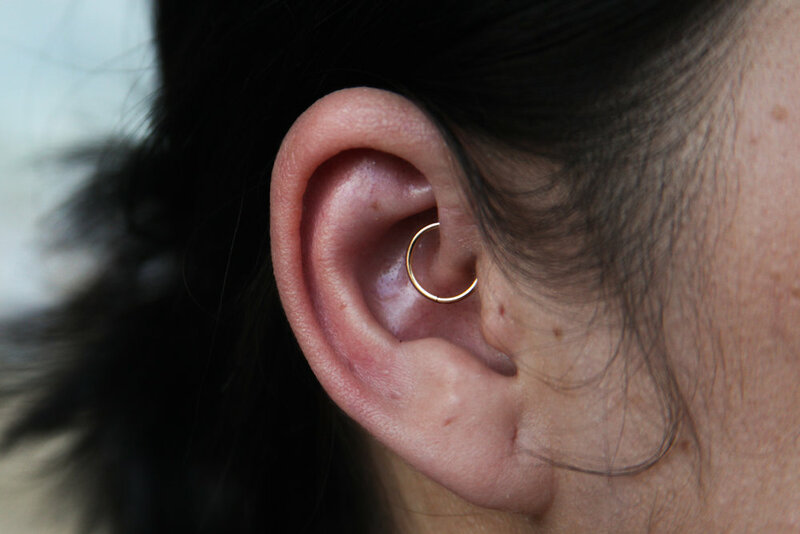 The daith (pronounced "doth") is a piercing that goes through the ridge of cartilage in the center of the ear. 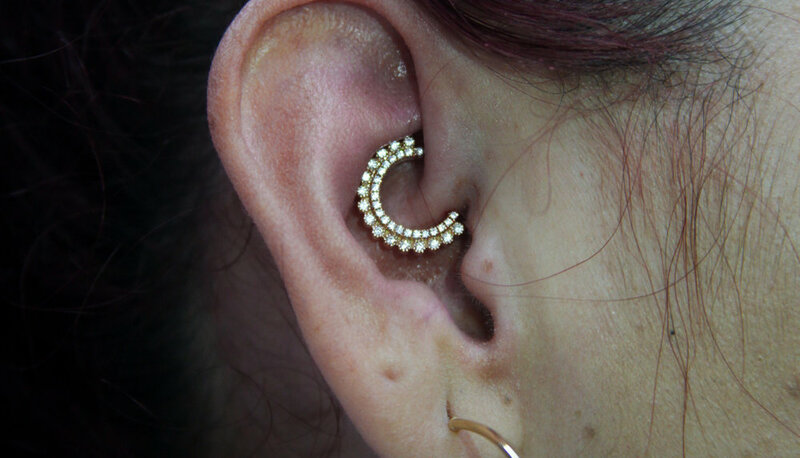 Jewelry is somewhat limited to circular shaped options, but that doesn't mean you're stuck with something boring! 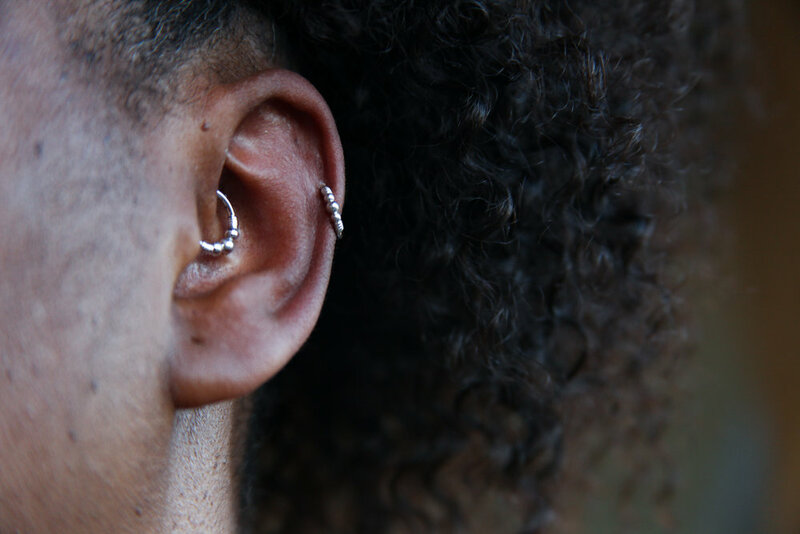 These piercings have a 9-12 month healing period, and can be quite finicky to heal.